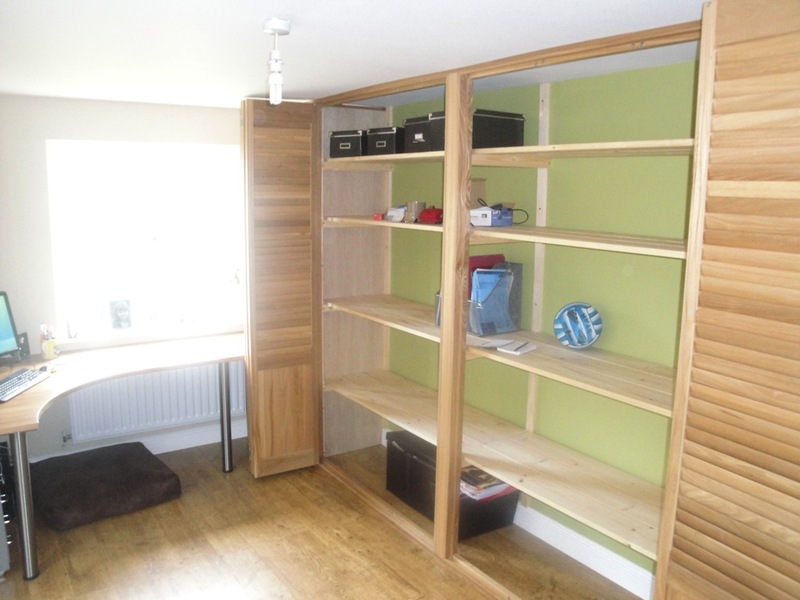 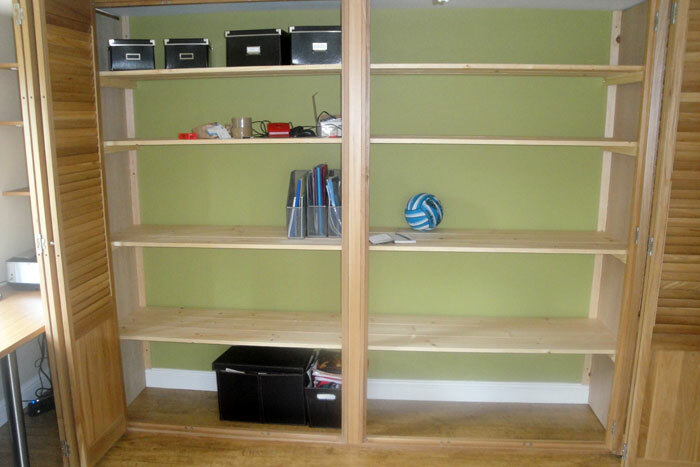 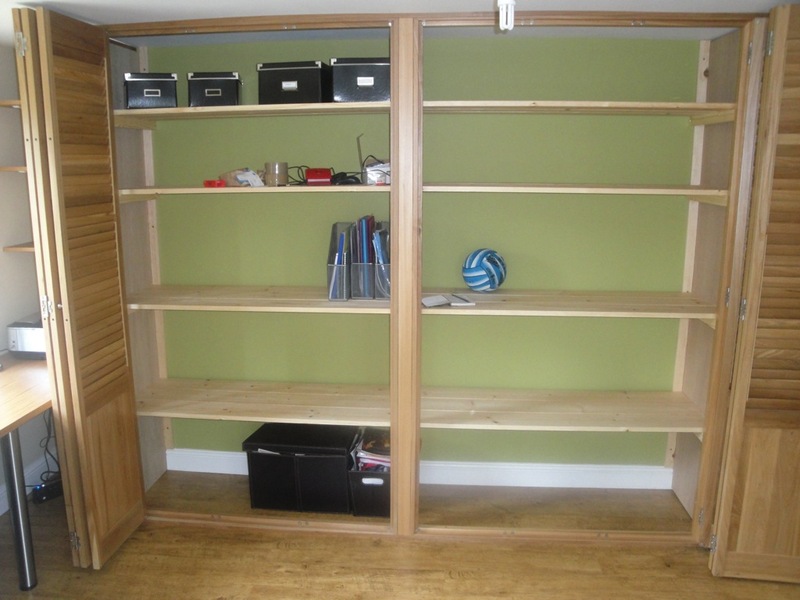 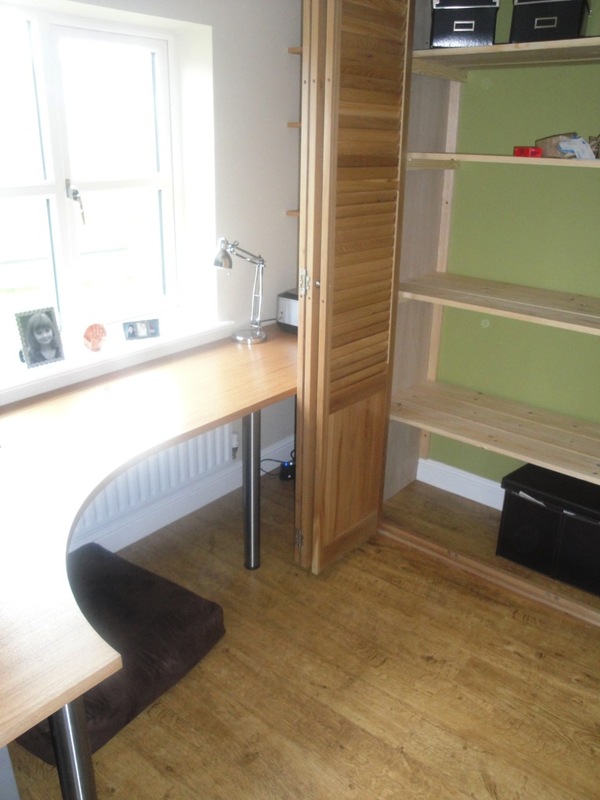 The Somerset client in this project was looking for cost effective and stylish solutions for the storage of office equipment, files and documents within a home office. 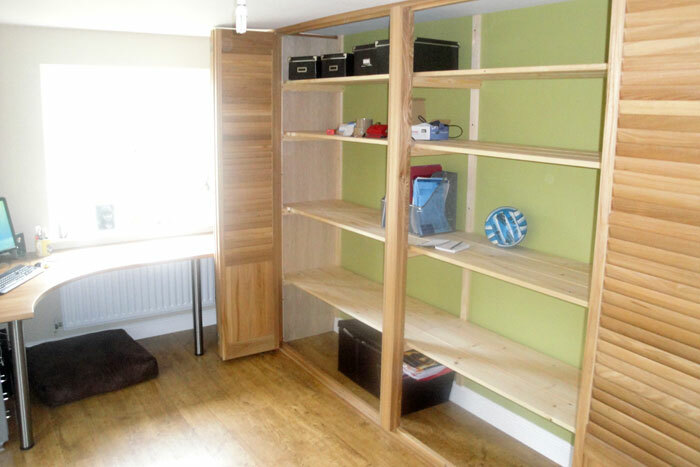 They had already had quotes from bespoke furniture makers that were way off the budget. 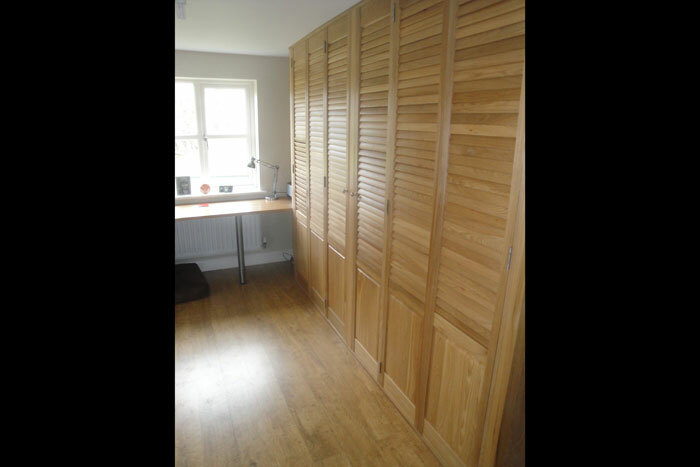 With creative planning and design we used our hardwood shutters in a combination of solid panels with shutter slats to create a wall of shutters that could be folded back completely or closed down to provide a stylish piece of fitted furniture within the room. 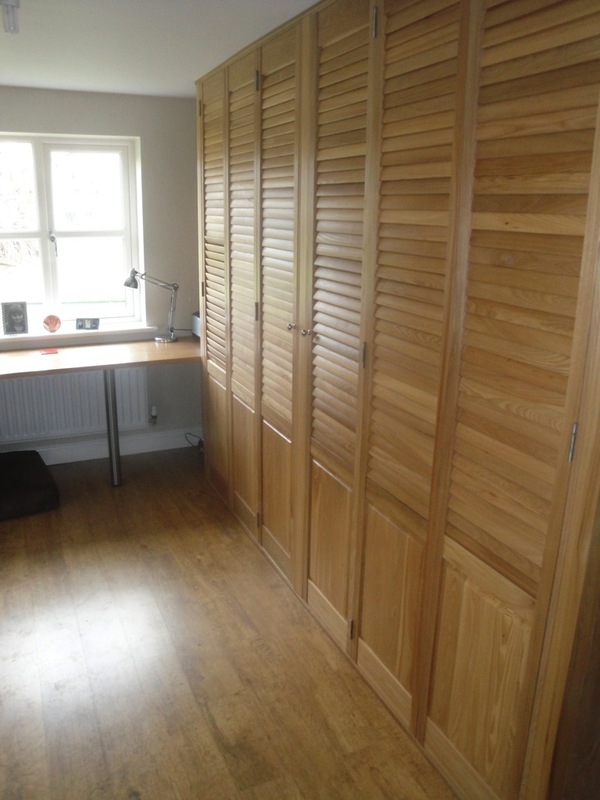 The shutters are Elm hardwood in a light oak stain to match the flooring and worktops. 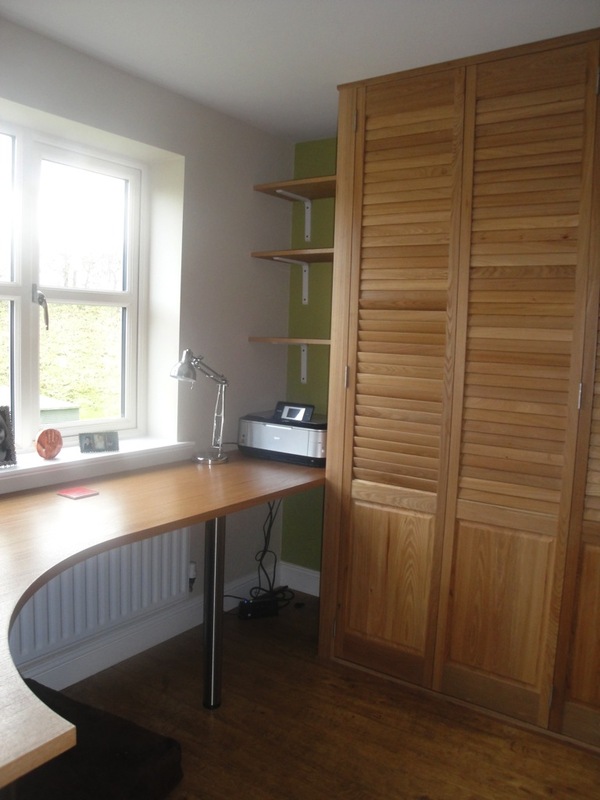 Since the office was completed we have also installed shutters to the window.